After being limited for decades to his role in the failed reforms of 1898, interest in Kang Youwei (1858-1927) has recently reached to other aspects of his intellectual and political platform. His understanding of Confucianism as the “true religion” of China and the consequent proposal for the establishment of a Confucian Church, in particular, have been observed and commented with growing attention, especially after the reconsecration of Master Kong as a cultural symbol - if not a spiritual guide - of post-revolutionary China. This talk will try to trace Kang’s contribution to the redefinition and the reshaping of Confucianism within the framework of the conceptual debate on “religion” (zongjiao 宗教). What was Kang’s interpretation of this “modern” concept? How did he apply it to the Chinese context? How did he position Confucianism, in the confrontation between “religion” and “superstition”? And what socio-political role could it perform in the State-building process? 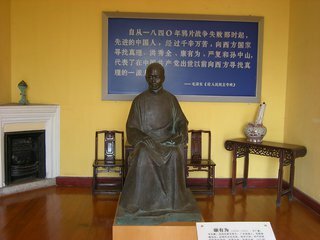 Finally, why is Kang’s “religious Confucianism” still relevant to 21st - century China? To answer these questions, the analysis will be based on two texts from the post-1898 production: the Italian Journal (Yidali youji 意大利游记) of 1905 - that includes Kang’s comparative observations on the role of Catholicism and Christianity in Western history - and some significant excerpts from his posthumous masterpiece, the Book of Great Concord (Datongshu 大同书).